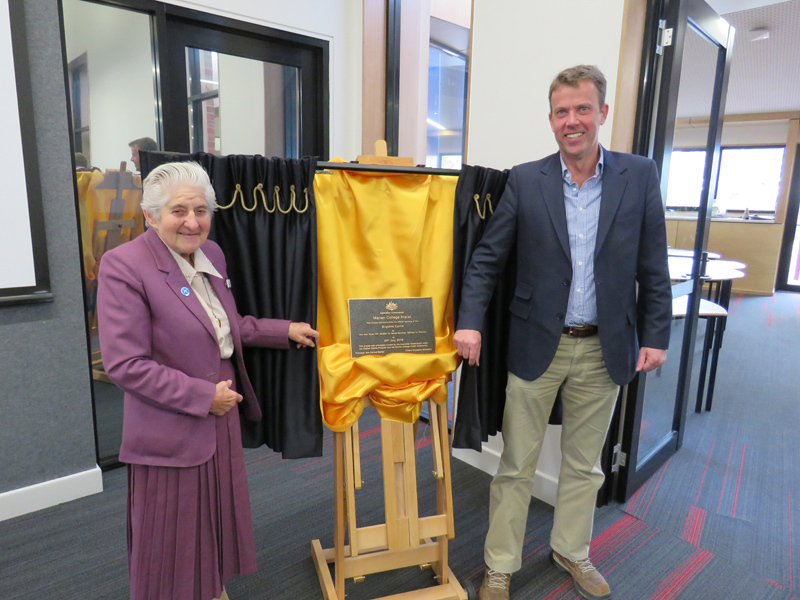 On Friday 20th July The Honourable Mr Dan Tehan, Member for Wannon, Minister for Social Services opened the Brigidine Centre at Marian College, Ararat. The Brigidine Centre was formerly St Mary’s Hall: the first portion of the brick school being erected in 1864 to ease overcrowding in the wooden schoolrooms. The refurbished St Mary’s Hall, incorporating and honouring the historic significance of this building in our rich heritage, provides students with an essential learning hub, consisting of four new classrooms, open learning area, offices, meeting spaces and bathrooms. With a generous Australian federal government grant of $1.6M, the additional classrooms and facilities enables Marian College to provide a dedicated space for Year 7 students as they enter secondary education. The Positive Education Program, The Oak Program, reflects the strong Brigidine tradition of the College recognizing our strengths of character as well as preparing students with life skills such as grit, optimism, resilience, engagement and mindfulness. In 1888, five Brigidine Sisters journeyed from Abbeyleix in Ireland to begin a long and steadfast tradition in educating children in Ararat. Mother Gertrude Kelly, Mother Cecilia Synnott and Sisters Josephine Clancy, Paul Barron and Malachy Byrne founded the Brigidine Sister in Ararat building the convent and school which is Marian College today. The Brigidine Convent initially operated as a primary school until 1954 when it became known as Marian School. Primary education was moved to St Mary’s Primary School and Marian College began secondary education in 1965. Marian College hosted boarders until 1980 when the convent was converted into a school building and the Brigidine sisters moved to the present convent. Sr John Spurr csb and Mr Dan Tehan (Federal Minister for Social Services) at the Official Opening of the Brigidine Centre, at Marian College, Ararat. 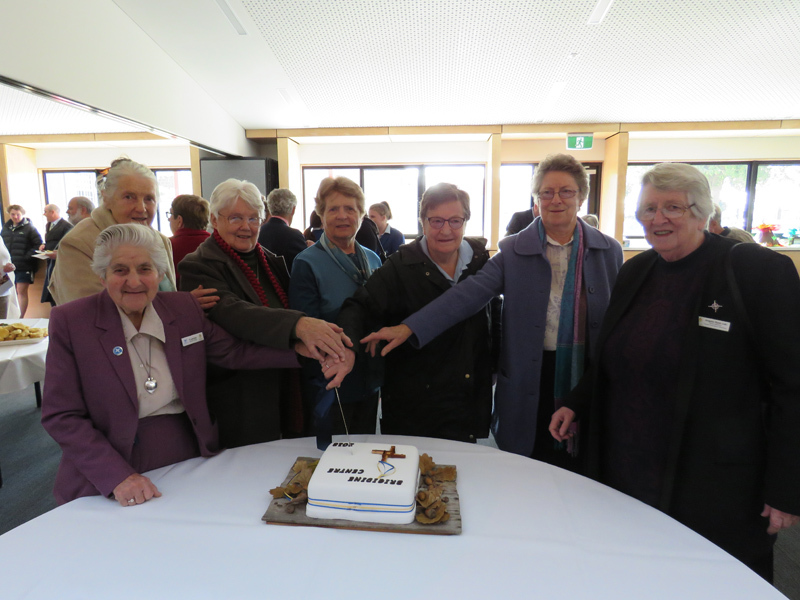 Brigidine Sisters were invited to cut the cake to celebrate the occasion. 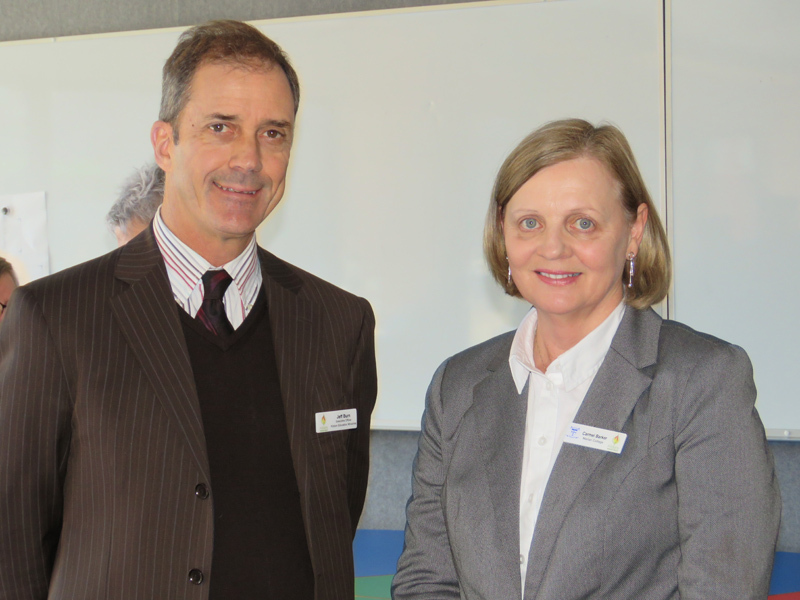 Mr Jeff Burn (Kildare Ministries) and Mrs Carmel Barker (Principal of Marian College) during the ceremonies.